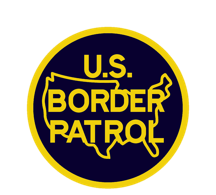 The Rio Grande Valley Sector of the U.S. Border Patrol will hold a recruiting event Saturday at the Sector Headquarters in Edinburg. The event will take place from 8 a.m. to 1 p.m. in conjunction with Texas Workforce Solutions. The Sector Headquarters is located at 4400 South Expressway 281 in Edinburg. Recruiters representing Border Patrol, Office of Field Operations and Air and Marine Operations will be present to answer questions and assist with the hiring process. Workforce Solutions will provide a mobile computer lab where interested applicants can apply on-site. Applicants are encouraged to bring an electronic copy of their resume on a flash drive to upload along with their application.